The 60-821-95 SuperBus 2000 commercial RF alarm transceiver Module adds wireless zone capability to any GE Advent security system. The 60-821-95 commercial transceiver module can be located near the alarm control panel cabinet or up to 4,000 feet away (using 18 gauge or larger wire). The alarm transceiver module receives information from remote wireless alarm sensors/touchpads and sends the data to the alarm control panel via the SuperBus 2000 auto-addressing digital data bus. 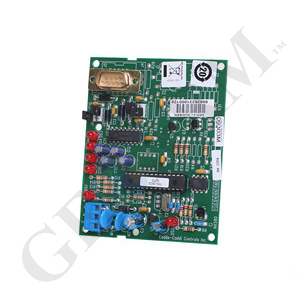 Power for the 60-821-95 commercial alarm transceiver module is provided by the GE alarm control panel. GE Advent security systems support up to (5) 60-821-95 SuperBus 2000 commercial alarm transceiver modules. The SuperBus 2000 digital data bus technology provides fast and reliable data transfer to the GE alarm control panel, and allows automatic module addressing.